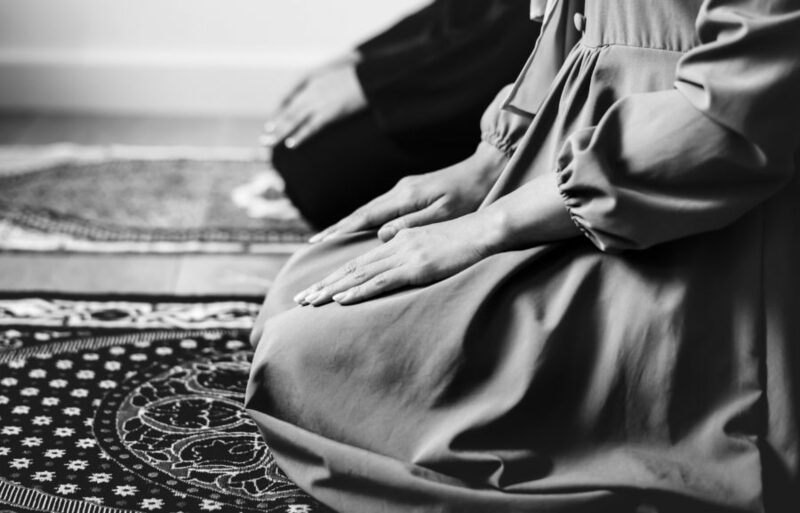 We experience the religious thought and the spiritual vitality of two Muslims—male and female—both American and both with roots in ancient Islamic cultural, intellectual, and spiritual traditions. Their stories and ideas, music, and readings, evoke a sense of the richness of global Islamic spirituality and of some of its hidden nuances and beauty. They reveal how sound, music, and especially poetry offer a window onto the subtleties and humanity of Islamic religious experience. Image by Lisa Bennett / EyeEm/Getty Images, © All Rights Reserved. Seemi Bushra Ghazi is a lecturer at the University of British Columbia, musician, and non-clerical reciter of the Qur'an. 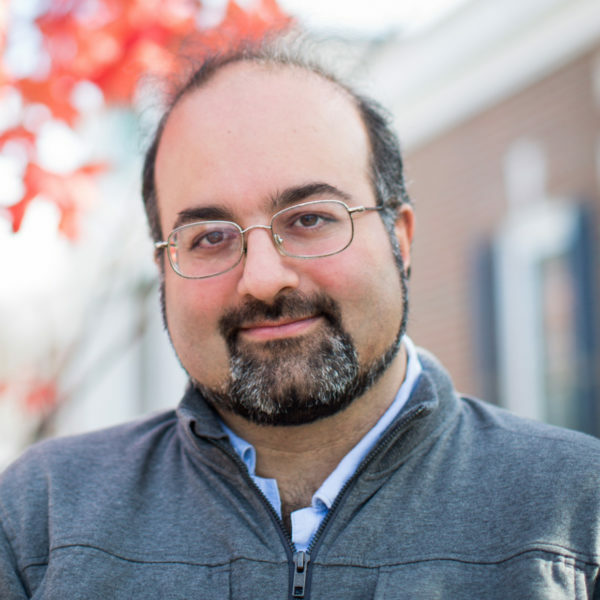 Omid Safi is Director of Duke University's Islamic Studies Center and weekly columnist for On Being. He is the editor of the volume Progressive Muslims: On Justice, Gender, and Pluralism and the author of Memories of Muhammad. KRISTA TIPPETT, HOST: This is Speaking of Faith, conversation about belief, meaning, ethics and ideas. I’m Krista Tippett. Today, “The Spirit of Islam. “We’ll explore the religious thoughts and the spiritual vitality of two Muslims, male and female. They are both American and they have both roots in ancient Islamic cultural, intellectual and mystical traditions. Their stories and ideas, music and readings evoke a sense of the richness of global Islamic spirituality and some of its hidden nuances and beauty. 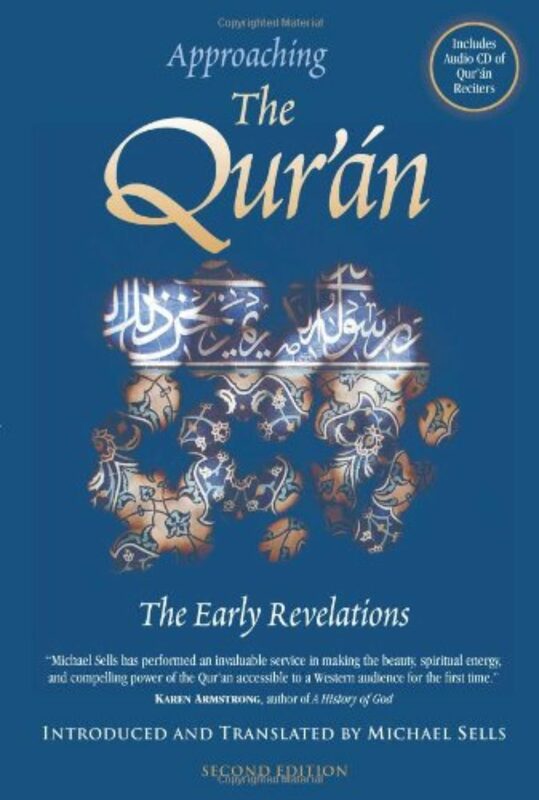 Islamic spirituality remains mysterious and inaccessible to many Americans, in part perhaps because the Qur’an is most often learned and recited in Arabic, the mother tongue of the seventh century prophet Muhammad. MS. TIPPETT: Later in this hour, Seemi Bushra Ghazi will take us inside the way ordinary Muslims hear the Qur’an and take it to heart through ritual recitations. SEEMI BUSHRA GHAZI: There’s a Muslim scholar who’s translated the Qur’an at one point in speaking to people as divine song. Divine song perhaps expresses more of what we, you know, experience in Qur’an. And also that’s the way in which the recitation of Qur’an is just interwoven into daily life. MS. TIPPETT: My first guest, Omid Safi, is a professor of religion at Colgate University and a scholar of Sufism, the mystical tradition of Islam. Sufi tradition is best known in the United States through the translated poetry of the 13th century Persian mystic Rumi. Omid Safi himself comes from a long line of Persian Islamic poets. He was born in the United States to Iranian parents, but he spent 15 years of his life in pre-revolutionary Iran where his grandfather was an ayatollah, the highest spiritual authority in the land. OMID SAFI: So I grew up in some ways in the lap of somebody that looks like Ayatollah Khomeini but had very different things in his heart and very different things coming out of his mouth. The largest room in the house was a library, and this library was filled with manuscripts and books of poetry, books of fiction, and not of just Islamic literature but also anything that he could get his hands on for translation as well. And I remember gatherings that he would have with his students, which in some ways, I guess, would correspond to, you know, a university professor from here spending time with his students, and that they would be having these lively philosophical kind of debates and exchanges. And usually towards the end of the evening, things would move into poetry and the time for debates would be over and people would bring the poems from their favorite people, be it Rumi or Hafiz or some of these other great luminous souls. MS. TIPPETT: Poetry offer a window into the subtleties and humanity of Islam. In many Islamic lands, poetry was and still is a powerful form of learning and social expression even among illiterate people. It provided the metaphors of early Arabian spirituality, evocative images of desert and journey, of longing and separation from one’s dearest beloved. The prophet Muhammad surrounded himself with poets and was greeted in his journeys with verse. Poetry also became central to Islamic mysticism or Sufism and was a major aspect of its appeal as it spread across the world. I asked Omid Safi to take me inside this poetic heart of Islam. He says that while much Islamic verse sounds explicitly religious, it also takes other less obvious forms. DR. SAFI: And it can read and it does read like just a beautiful love poem from an anguished lover to a cruel beloved, and the language is of passion and love and intoxication and wine and all these kind of things that we don’t expect Muslims to do. And at the same time, even that poetry is infused with a kind of Islamic symbolism and meaning, so that when one talks about the beloved, it can be your husband or your wife, it can be your spiritual teacher, it could be Muhammad, it could be God, and the interesting thing is that it’s probably all of them at the same time. MS. TIPPETT: How would you describe the place that love poetry and that the language of love, you know, has in your religious sensibility? DR. SAFI: There’s a way in which this poetic language works, and appeals that it has at an emotional level, a spiritual level and an intellectual level that I think just a straightforward theological language doesn’t have. And if you start to think about this kind of a poetic way of talking about things as corresponding to people and God, then that becomes really powerful because you’re getting way beyond God somehow only being this majestic king figure on high. MS. TIPPETT: That does present quite a contrast to the surface of Islam. I mean, even the word `Islam,’ which connotes submission and this stress which seems to be particularly strong in Islam on the sovereignty of Allah — you know, how do these two strains of religious feeling work together? DR. SAFI: In all kinds of delicious ways. You know, if you look at the Qur’an, it talks about God as both the majestic king and the one on high, and at the same time, the one that is closer to us than our own being or, you know, there’s this lovely phrase in the Qur’an that God is closer to you than the beating of your own heart. And the language of submission is there, but for many Muslims what is love but submission. And if you’re really lucky, the beloved also submits to you in a certain way. MS. TIPPETT: I’d like to ask you about Rumi who’s become very famous in this country in recent years. I believe that he was born in Afghanistan, and he was a Persian poet and mystic. DR. SAFI: That’s right. In this particular time period in the 13th century where he was born and he lived, national identity didn’t matter as such because if you were a learned person and if you were a person of faith, and particularly a religious scholar, it was expected that you would travel through all these lands. So we know that he came from Central Asia to Afghanistan, to Iran, to Iraq, to what is today Saudi Arabia, to Syria, and before settling in Damascus. And he wrote some 90,000 lines of poetry, great, fantastic, beautiful poetry. MS. TIPPETT: Here’s a vocal setting of a poem by Rumi. 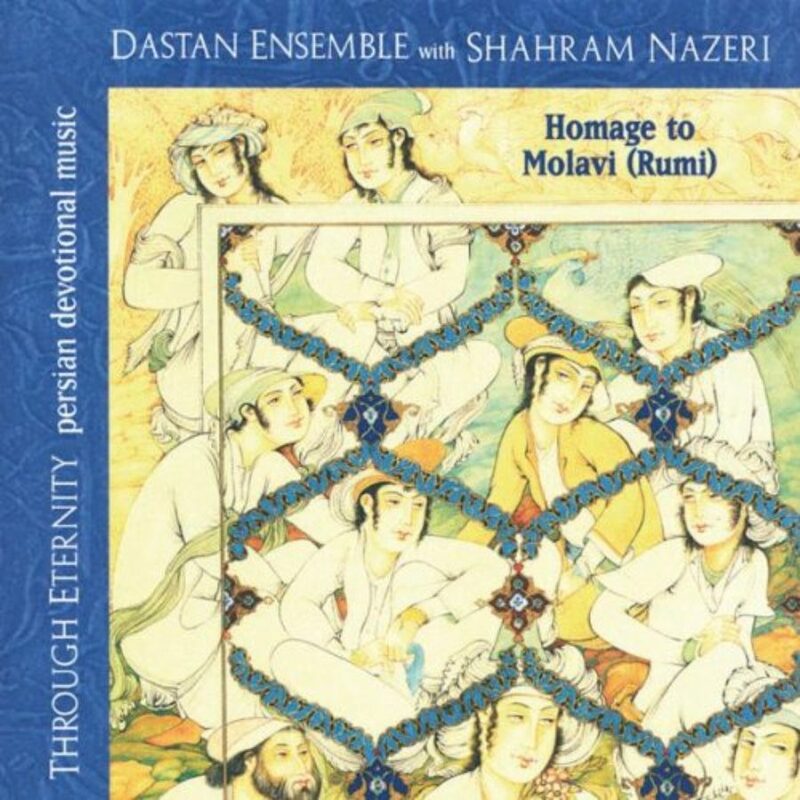 DR. SAFI: This piece is called (Arabic spoken), “The Water of Life that is Love,” and the recitation is by a contemporary Iranian vocalist named Shahram Nazeri, who actually comes to the States usually once every other year. And to give you a sense of the continuity of the Sufi poetry tradition, he is easily the most famous vocalist in Iran, and when he gives concerts, usually the only places that they can find big enough to hold him are soccer stadiums. So there’s 120, 150,000 people that show up, and here’s this man sitting on a very small chair at 50-yard line in the middle of the soccer stadium. 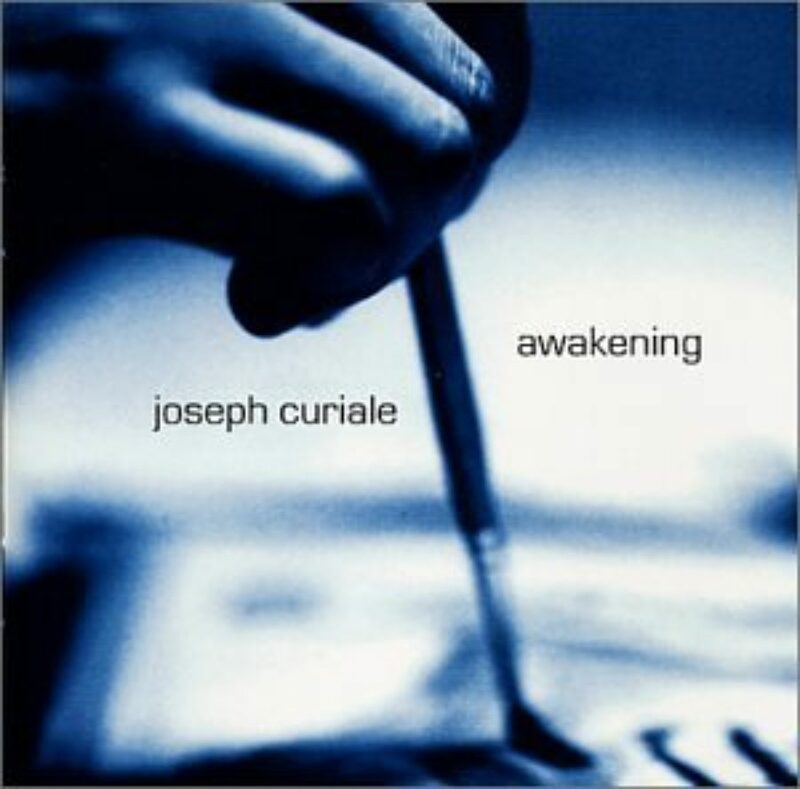 And he opens his mouth and this fantastic sound and meaning and poetry and music comes out. So this is very much an ongoing tradition in many parts of the Muslim world, and I don’t want to give the impression that it was just a medieval phenomena whose day has passed. DR. SAFI: He starts out by asking and begging for this water of life, which is love, to flow through his veins. He’s asking for his soul to become a mirror that reveals and reflects all the mysteries. 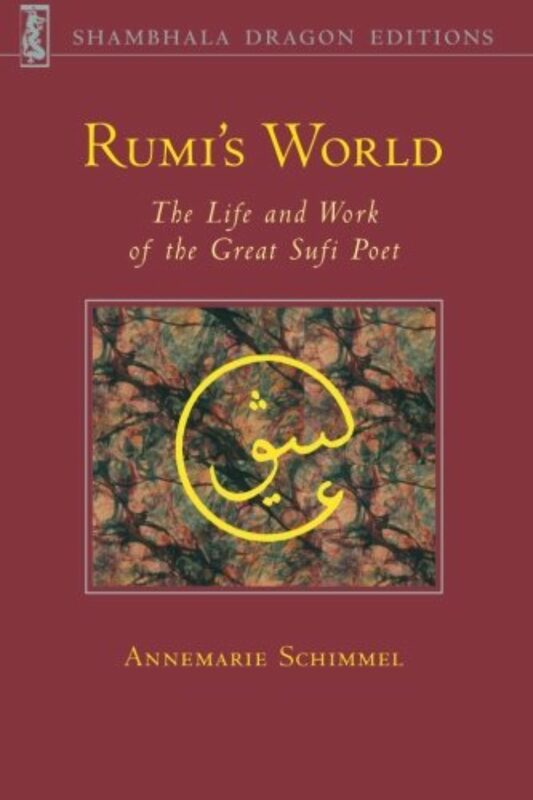 He says, `Oh, ecstatic joy, pierce my soul and let my heart become the chalice of truth.’ And I think it is very important for us, for all of us who are great lovers of Rumi’s poetry, to be able to go back and forth between these wonderful contemporary English translations which are coming out nowadays, and also do have a chance to listen to the way that Rumi has continued to be recited and sung with all this passion and all this beauty that is evident to anyone. 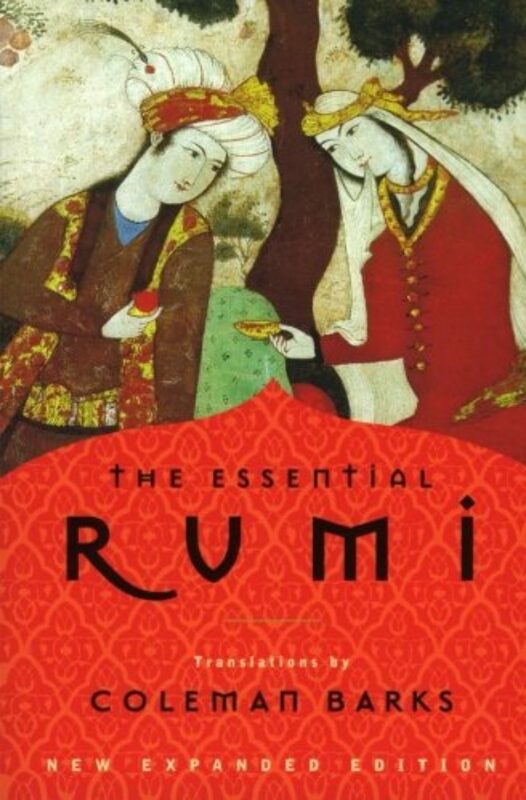 Rumi has been read in Iran, in Turkey, in Afghanistan, in India, and one of the most charming things that I find, in China. There is somewhere around 50 to 100 million Chinese Muslims, and the Chinese in the western part of China were absolutely enamored of Rumi. The emphasis on the song is on these glances that lovers and beloveds exchange and how these glances can pierce your heart and to kill you, but kill your sense of separation from the beloved. You know, we even say this in English: `You’re killing me.’ And that’s what these lovers are talking about. The poem is also about these legendary lovers, Layli and Majnun, who are in someways the analogous part to our Romeo and Juliet part. MS. TIPPETT: I’m Krista Tippett, and this is Speaking of Faith from American Public Media. 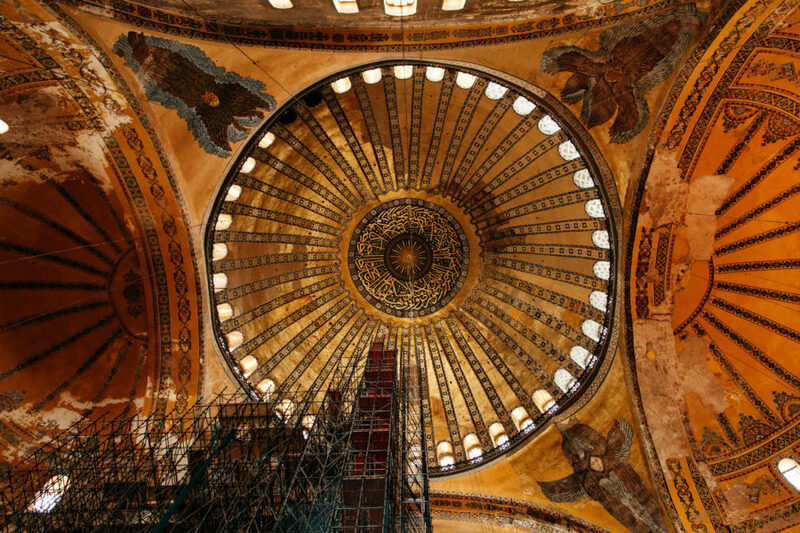 Today we’re exploring Islamic spirituality as expressed through music, ritual and poetry. 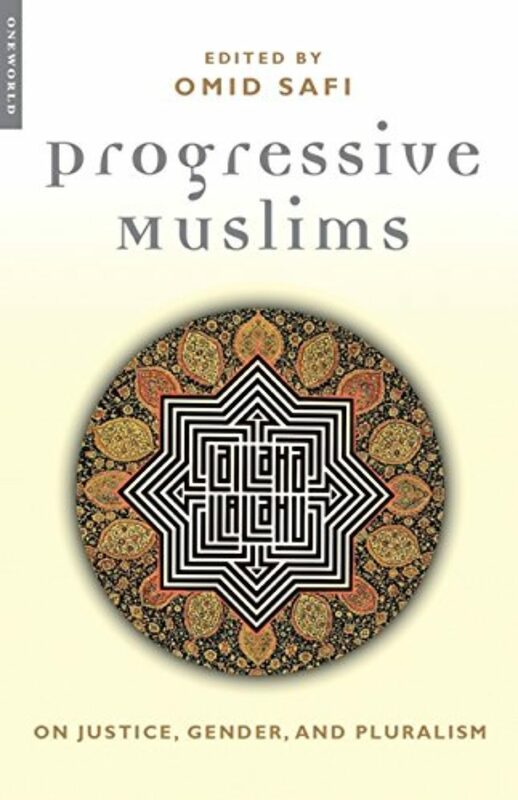 My guest, Omid Safi, is a professor of religion and philosophy at Colgate University, and he has a vast collection of Islamic music from many cultures. MS. TIPPETT: That term zikr is a central term in Sufism, I believe, and I’m intrigued by it. It does connote remembrance of God, right? MS. TIPPETT: And tell me if this is true, that whereas, for example, in Christianity, we have a notion of human fallenness, of original sin, of a turning away from God, but that in Islam, this term zikr reflects not a sense of sin so much as that we forget God. DR. SAFI: We forget. We forget. Yeah. If there is anything analogous to original sin in Islam, it’s our tendency to see ourselves as merely these creatures of the flesh, as something that is merely human instead of being an image that is formed after God, in the image of God, having divine spirit. And one of the tasks of the Qur’an is to have people remember their divine source and divine origin. MS. TIPPETT: You know, something that we haven’t talked about is this very exotic tradition of the whirling dervish, which also is a part of Sufi history. MS. TIPPETT: Tell me something about that. DR. SAFI: The whirling dervishes, what we tend to call whirling dervishes, are actually the organized Sufi community that traces its lineage back to Rumi. We know that during his own lifetime, sometimes when he would be chanting all these hundreds of beautiful poems, he would whirl around a column as he would recite his poems in a way that kids sometimes do by just, you know, whirling around a tree and just singing to themselves. And in time, that music and that poetry and that movement became orchestrated, so that the whirling dervishes’ performance is a highly symbolic and sophisticated dance, if you would, an orchestrated dance, where every posture and every movement is full of symbolism. So, for example, at one stage, all the dancers spread out their hands and their right hand is reaching towards heaven, faced up, and the left hand is to the lower side of the body reaching down and it’s facing towards the Earth. And the image that’s created through that dance is more or less that the entire human being becomes a conduit, and the image is one of dancing in the rain, if one thinks of rain as mercy, as all desert cultures and Muslims tend to. It’s almost like you’re receiving the rain and the mercy with your right hand. It is flowing through your body and you’re releasing it onto the rest of the humanity and the rest of creation through your left hand. MS. TIPPETT: Is this an art form that is still alive? DR. SAFI: It is alive. In the early part of 20th century, Ataturk, the person who’s responsible for the secularization of Turkey, declared Sufism illegal, because he saw it as something that stood in the way of progress. And after all, the Europeans didn’t have Sufis and whirling dervishes, so why should the Turks? And so the public practice of Sufism and these kind of whirling performances became illegal, and when it was eventually reinstated, it was specifically taught as a tourist attraction and a form of folklore. MS. TIPPETT: And that’s how it comes to us, isn’t it? DR. SAFI: That’s right. That’s right. So you get these wonderful and quite strange kind of scenes where the whirling dervishes come and they perform on a theater stage and the audience stands up and claps for them at the end as if one has seen a play. And many of us are grateful for the fact that we do get to see it and that these human beings do get to bring their teachings and their symbolism to us. But this is not a play. 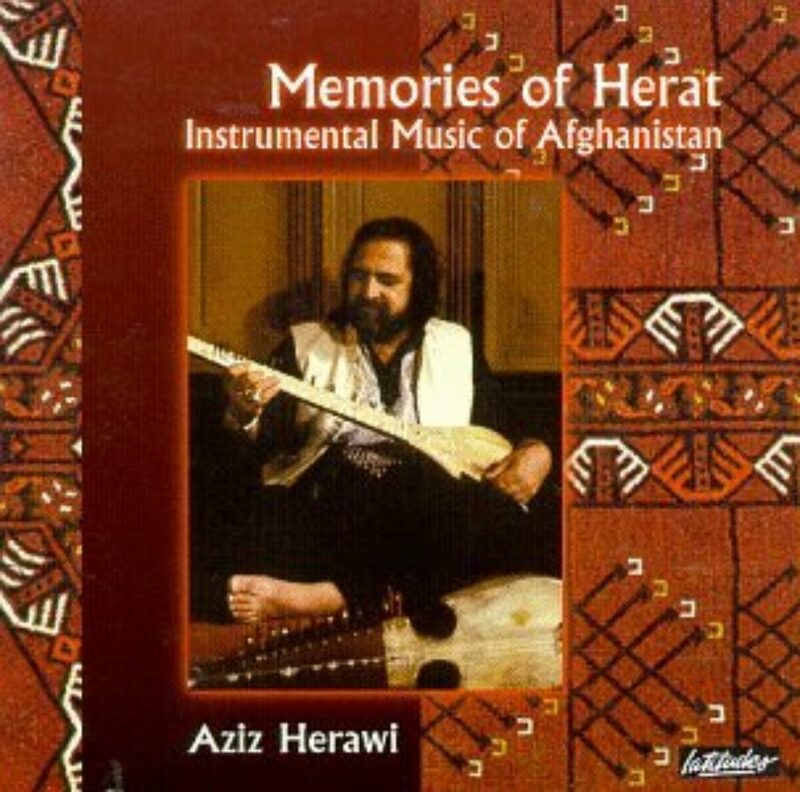 DR. SAFI: The music of the whirling dervishes features and highlights a flute called a ney. This is a flute that is made from a reed, and Rumi’s collection of poetry starts out with “The Tale of the Reed.” And it’s the reed that is cut from the bed of reeds and it has holes put into it, which is a painful process for the reed, and it has the pain of separation from its origin, the bed of reeds. But the music cannot come until it is cut and until the holes are put into it, and that’s when you get this beautiful sound. And in this marvelous form of interpretation, it compares the human being to this flute. We’re also cut from our original home, which is divine presence. And this sound is absolutely heart-wrenching, and it is sad and plaintiveful. And as the ceremony goes on, one moves through this sadness and rises towards an experience of seeking again and being on that quest again. And the goal, after all, is not to wait till heaven to be with God. These are very impatient people, and they want God here and now. And the only way to rise to that level is to begin by acknowledging the feeling of separation. One doesn’t get to have water until one acknowledges that one is thirsty. This is spiritual thirst. MS. TIPPETT: And then what do they believe happens in the whirling, the dancing, the sort of pure form of dance that follows that plaintive sound? DR. SAFI: Hmm. When you start out, most of the dancers are wearing this beautiful, thick black robe. And at some point during the middle of the ceremony, they cast that robe aside and are wearing this familiar white attire underneath. And this is the one that has a puffy skirt to it, that as they whirl, it expands. And the casting aside of that robe, in a way, is symbolic of us casting aside the veils that keep us from being able to see God and to see God here and now and a return to that primordial state of remembrance. MS. TIPPETT: So, you know, I was asking you before we talked about bringing readings and music, but what I’m learning is that the two go together in your tradition. DR. SAFI: Absolutely. Absolutely. And, you know, most of the time, the two are combined together. Every now and then you have instrumental music, and sometimes, you know, you also hear people walking down the street and reciting poetry. One of the most heart-warming sights to me — I’m traveling in the Muslim world — is to see peasants who are reciting poetry. And again, in this country, it tends to be the more educated people who have any kind of poetry memorized. But in the Muslim world, even people who are illiterate oftentimes have hundreds of lines of poetry that they know by heart. MS. TIPPETT: Do you have some with you that you might read that someone in the Muslim world might recite? DR. SAFI: Shepherds in Iran are very fond of this poet. This is a simple soul by the name of Baba Taher, whose nickname was Baba Taher the Naked because he didn’t have any money for these kind of elaborate robes and things like that. (Recites poem in foreign language). He says, `God, tend to this lament of my heart. You are the one who is all alone because God is one. Everyone says that Taher has no one. God is my friend. What need do I have of anyone?’ And if you sort of start to think about these shepherds, who have to go for these long, long walks every single day in isolation from other human beings and just tending to a flock of sheep or goats or whatever, and they’re singing these types of songs to remind himself of the fact that God is also one, and that God is with them, even if no human beings are. That’s when you begin to get a sense of how this poetic tradition shapes the lives of people all over the Muslim world. MS. TIPPETT: Muslim scholar, Omid Safi, an Iranian American with personal and intellectual roots in ancient Islamic spirituality. This is Speaking of Faith. After a short break, more from Omid Safi, including his thoughts on the modern-day relevance of Sufism, the Islamic mystical tradition. Also, Seemi Bushra Gazhi on the ways in which Muslims hear and interiorize the Qur’an simply by its sound. On our website at onbeing.org, you’ll find in-depth background and reading and music recommendations. There you can also sign up for our weekly e-mail newsletter, which includes program transcripts and my reflections on each week’s program. That’s onbeing.org. I’m Krista Tippett. Stay with us. Welcome back to Speaking of Faith, conversation about belief, meaning, ethics and ideas. I’m Krista Tippett. Today we’re exploring the aesthetic and mystical world of Islam as experienced in two lives. 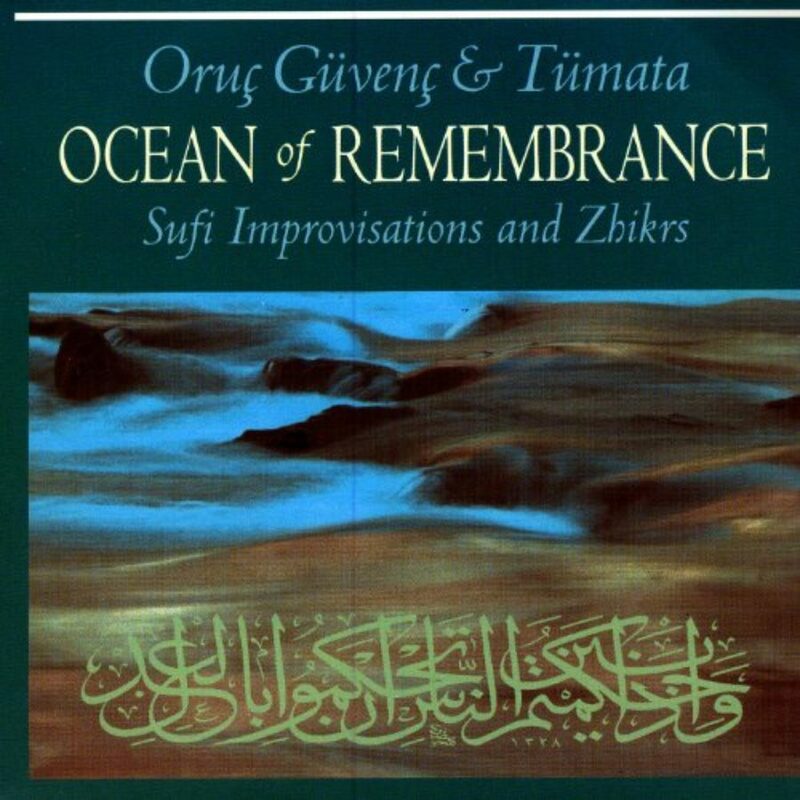 My guest, Omid Safi, is both a student and a scholar of the Islamic mystical tradition, Sufism. Sufism has been popularized in recent decades through best-selling translations of the 13th century mystic and poet Rumi. 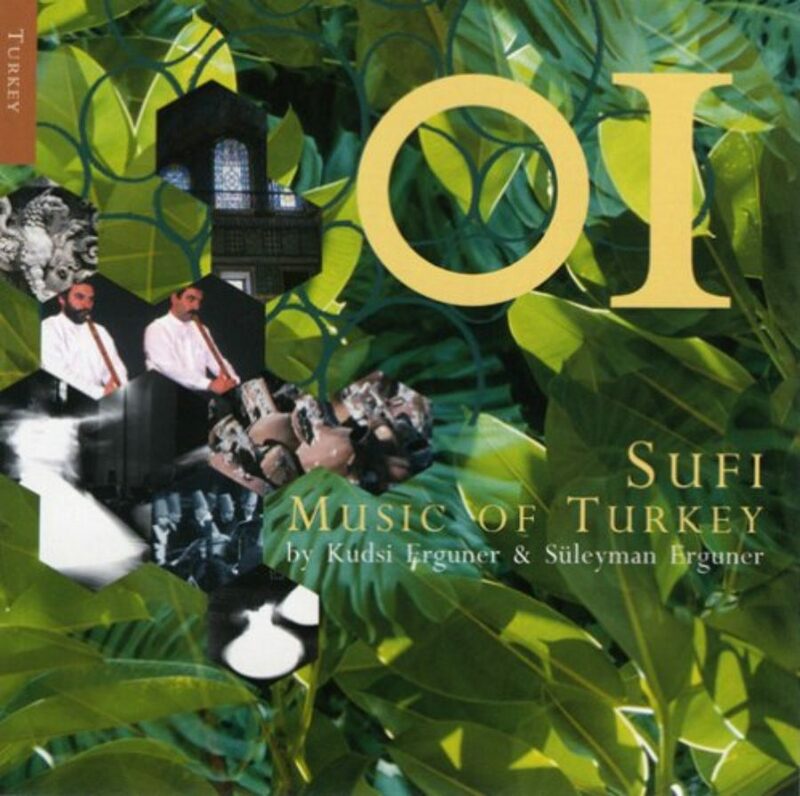 Sufism today spans many schools and many cultures. 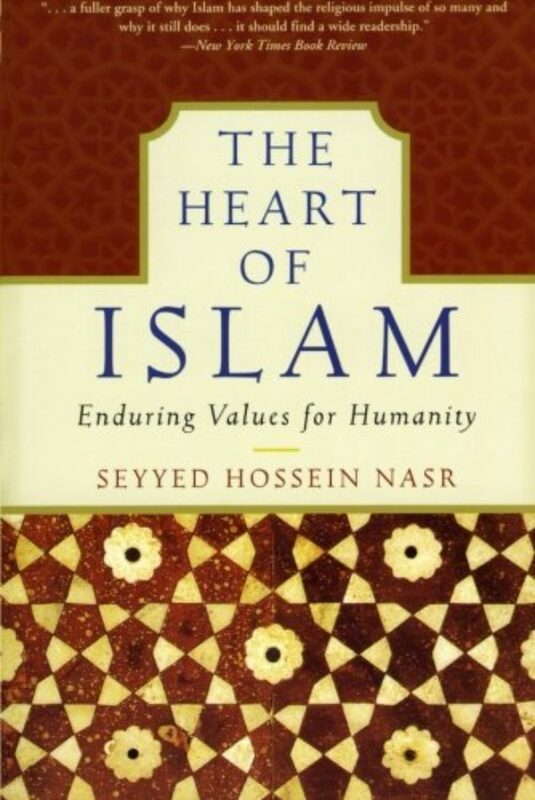 It originated as a spiritual movement against increasing worldliness in the expanding Muslim community after the prophet Muhammad’s death in 632. All Muslims find in their faith a relationship with God and a hope to meet God, or Allah, in the next life. Sufis aspire to special intimacy with God in this life. Partly for this reason, Sufism has been one area of controversy in the diverse worlds of interpretation within Islam. There are two major Islamic traditions: the Sunni, also called orthodox or traditional Islam; and the minority Shiite tradition. Sunnis and Shiites share the common pillars of Islamic faith and practice. They diverged on the issue of religious and political authority after the death of Muhammad. Only in the past two centuries have more austere authoritarian movements challenged the place in Islam altogether for Sufism’s imaginative symbols and practices. Omid Safi says that Sufism is one of the most important manifestations of Islam and one of the most pertinent for finding hope in the contemporary situation. DR. SAFI: Up until about the 1800s or so, you would not be able to travel to any part of the Muslim world without finding Sufis. You would find them among the highest-ranking religious scholars, you would find them among peasant and farmers. You’d find them among craftsmen, housewives, just, you know, at all levels of society and also men, as well as women. There were debates that happened between Sufis and some more perhaps stern type of scholars who preferred a much more theological or legalistic way of talking about God. But Sufism as a whole, they recognized it as something that has its origins in the Qur’an and the spiritual experiences of Muhammad. After about 1800 or so, some of that changes, and you have this new type of somewhat fanatical, extremist interpretation of Islam, which, from my perspective, is also quite dry and doesn’t give anyone the spiritual sustenance to be a person of faith, which starts out in Saudi Arabia. This is the kind infamous Wahhabi interpretation. MS. TIPPETT: There’s sort of 85 percent of Islam is Sunni. Right? MS. TIPPETT: And something like 13 percent Shiite and then 2 percent are other kinds of sects. I mean, given the fact that we’re talking about a billion people, those are still big, even though 2 percent isn’t a large number of human beings. But did Sufism grow out of the Shiite tradition, which I think we tend to associate with these more violent, fundamentalist expressions of Islam? DR. SAFI: We do. And that’s unfortunate because in terms of the historical rise of Sufism, it’s something that you’ve seen in both the Sunni communities and the Shia communities. And it’s been present in both, it’s been very strong in both, and in many ways, Sufis have tried not to represent themselves as the third sect of Islam but have tried to bring, when possible, I think, some sense of rapprochement between these two communities and to reconcile them through finding the common denominators. MS. TIPPETT: Now you are the son of a poet. You have a Persian background. You are the grandson of an ayatollah. How alive can this rich poetic and mystical tradition you’re describing be for Muslims in our country? DR. SAFI: I think Sufism is to have a phenomenal impact on the way that American Muslims, and I think Americans of faith, relate to themselves and to each other’s communities and to God. This, by the way, has started a long time ago. There have been Sufis in this country for at least a hundred years, and there are tens of thousands of people in all kinds of different communities who consider their own relationship to God and to each other largely through a Sufi perspective. So it’s not as if one is starting from scratch. I guess the concern that I would have and the hope that I would have is — we were talking a minute ago about some of these extremist interpretations of Islam, like the Wahhabi interpretation, which got started in the 1800s. That particular interpretation is also present in America. I would also hope that many Americans and many American Muslims would investigate their own tradition and to find this compassionate, intelligent and, in many profound ways, universal ways of looking at themselves and looking at God and thinking about different ways of forming community. MS. TIPPETT: You know, at Colgate, I noticed you teach a course called Religion and the Quest for Meaning, and we’ve used the word `fundamentalism’ a lot recently to describe the form of Islam which has impacted us. And I think fundamentalism, in any religious tradition, is about having answers. Religion and the Quest for Meaning suggests something that’s close to my heart, that religion is also about asking the biggest and most beautiful questions. And, you know, I wonder if you could put some words around the questions that your practice and your understanding of Islam guide you in asking. DR. SAFI: Well, I think you pointed to that word `quest,’ and that’s the key. That’s the key. Whether I think one is talking about religion or one is talking about the Sufi interpretations, to me it’s not about something that you put on a pamphlet and you say, `These are the 10 tenets of my faith, and this is the reason I do such-and-such a thing.’ It’s about a quest, and it’s about that same process that we talked about, that we’re all on this path towards becoming more whole human beings and hopefully more compassionate and caring human beings. And that’s, to me, the advantage of some of these terms like `quest,’ which, by the way, the Sufis also use. Very often they wouldn’t call themself a Sufi, but they would call themself `one on a quest’ or a seeker. A seeker is somebody who seeks; they’re seeking God. MS. TIPPETT: Are you a Sufi? MS. TIPPETT: Tell me what it would mean should you continue on this path and be able to call yourself a Sufi. DR. SAFI: I like the notion of coming to a sense of peacefulness and tranquility with one’s self and one’s own relationship with God so that one is not struggling, if you would, against God. But there’s this kind of a lover/beloved relationship that keeps moving you along and keeps transforming you. MS. TIPPETT: Omid Safi is professor of religion and philosophy at Colgate University. MS. TIPPETT: Like Omid Safi, my next guest, Seemi Bushra Ghazi, is an American with deep roots in ancient Islamic civilization. Her family comes from a long line of Urdu scholars, mystics and poets. Urdu is the chief literary language of Muslim India and Pakistan. 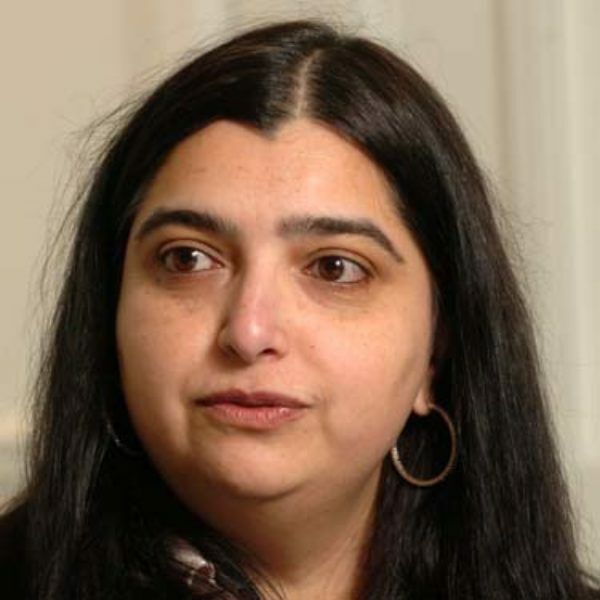 Seemi Ghazi grew up in a scholarly household, spending years of her childhood at the London School of Economics and Harvard. Her parents also founded some of the first Islamic Sunday schools in North America. Seemi Bushra Ghazi is a musician and also a noted non-clerical reciter of the Qur’an. MS. TIPPETT: It is impossible to overstate the centrality of the Qur’an for Muslims. The word `Qur’an’ simply means `recitation.’ It is considered the verbatim Word of God revealed to the prophet Muhammad over a 23-year period. And even as Muslims learn the words and grammar of the Qur’an, they internalize, take to heart, its rhythms and patterns. 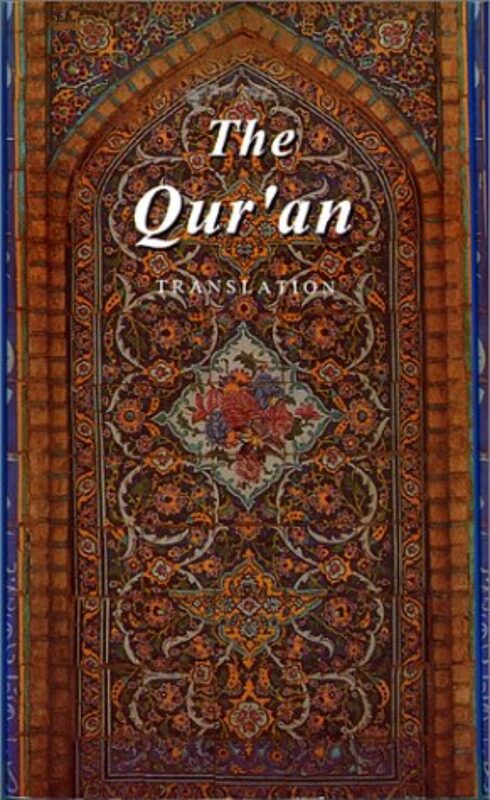 Some speak of the sound vision of the Qur’an which no translation can capture. And according to Seemi Ghazi, English translations do not do justice to her passion for the Qur’an as a woman. She describes how she first began to love and learn the Qur’an through sound, before she could understand its words, as her mother prayed and recited in the early mornings of her childhood. MS. GHAZI: I think this is a really common experience, you know, women at home in the morning reciting Qur’an before they begin their day and children waking up to that. To the child, if there’s something that touches the infinite, it’s your mother’s being and her body and her voice and her breath. And it’s really powerful, I think, to have something that you later understand is as revelation first enter you in that way. MS. TIPPETT: Yeah. And even in the way you are describing that, you’re describing, you know, this world of Islam, this spiritual world of Islam which manifests itself, I’m learning, very differently from the traditions that people in this country are more familiar with. MS. GHAZI: I know someone who — there’s a Muslim scholar, who’s translated Qur’an at one point in speaking to people as divine song. And Muslims try to be very clear that the Qur’an is not music. It has musicality, but it’s not music, per se. Just as it’s poetic, but it’s not poetry, per se, in order to sort of preserve its sanctity as revelation. But divine song perhaps expresses more of what we, you know, experience in Qur’an. And also, that’s the way in which the recitation of Qur’an is just interwoven into daily life as a ritual practice. I mean, I started with my mother reciting every morning, but when there are occasions of birth or marriage or someone passes away or we want to bless a house or there’s anything in life that we’re sort of desiring or aspiring to — and sometimes for none of those pretexts at all, you know, people come together and they’ll spread — we did this so often as a child — they’ll spread white sheets in the whole house, and then everybody sits and takes one portion of the Qur’an, 1/30th, and reads it, reciting aloud, everyone reciting their own sections. MS. TIPPETT: Are they reading it or are they, would it sound to me, like singing? MS. GHAZI: It would sound to you more like what we might call chanting than singing. You know, I could give you an example of, you know, in this form, it would be something like (chanting in foreign language), in that kind of way. But everyone would have sort of their own rhythm, but, you know, there would be so many kind of familiar preparations for something like this, from wearing, you know, from bathing to taking, you know, wearing beautiful clothes, you know, completely cleaning the whole house, cooking enormous amounts of food and sweets and, you know, this is the way community is brought together. This is how people spend their time. MS. TIPPETT: You know, this is really fascinating also in cracking open this different religious world because I think on the surface the fact that the Qur’an is generally read and recited in a language that people can’t understand, but what you’re opening up are all these nuances, even feminine nuances, that sort of break down our stereotypes. MS. TIPPETT: Do you wear a veil? MS. GHAZI: I don’t. I sort of dress very modestly by North American standards, let’s say, and I tend to wear sort of long sleeves and long pants and things like that, but when I recite Qur’an, I’ll often cover my head, or when I pray and if I’m in parts of the Muslim world where that’s sort of the more modest alternative, then I generally do. Now I lived in Saudi Arabia for a while, and, in fact, I mean, I wore a full veil there. I covered my face and everything. It was very interesting. I mean, I knew it was temporary, but I really enjoyed the kind of observer status that I had as someone wearing a veil, and there’s a whole world to these veils. I mean, if you’re in a place like Saudi Arabia, you know, they can be silk and they can be different kinds of silk and they can have different subtle borders, things that, you know, we never pick up, like across the airwaves or anything like that. So there’s a whole sort of fashion around them, too, and, you know, how you put them on and how you tie them. But the experience of seeing the world through that — I mean, well, let me just say not about the veil, but when I have a shawl, you know, when I cover my head, it’s, you know, part of what you’re doing is creating a space apart and a space which is sanctified. And in the traditional Muslim world, men cover their head, as well as women. We all cover our head, and there are many kinds of interpretations of that. One is that by having a turban or by having something on your head, you’re emphasizing this kind of vertical principle which links you with the divine. You know, the divine, of course, is kind of due north from your head, upright. And another way of understanding it is that, you know, divine splendor is so extraordinary, it’s so great, that this is almost a shelter for us. And another way of thinking of it as a crown. You know, there’s many ways to think of it, but, you know, I love the feeling of taking my shawl and wrapping it around me before I pray because it does enable me to create another world. And, especially as a woman when you’re often trying to attend to, you know, a thousand mundane tasks and get to work or go to school or whatever you need to do, that makes a profound difference. For me, it’s a portable sanctuary. And, you know, no one’s telling me that I have to, so I have the freedom to interpret it that way also and to feel that way about it. MS. TIPPETT: Seemi Ghazi’s recitation of the sura al-qadr or night of destiny, a pivotal chapter in the Qur’an. 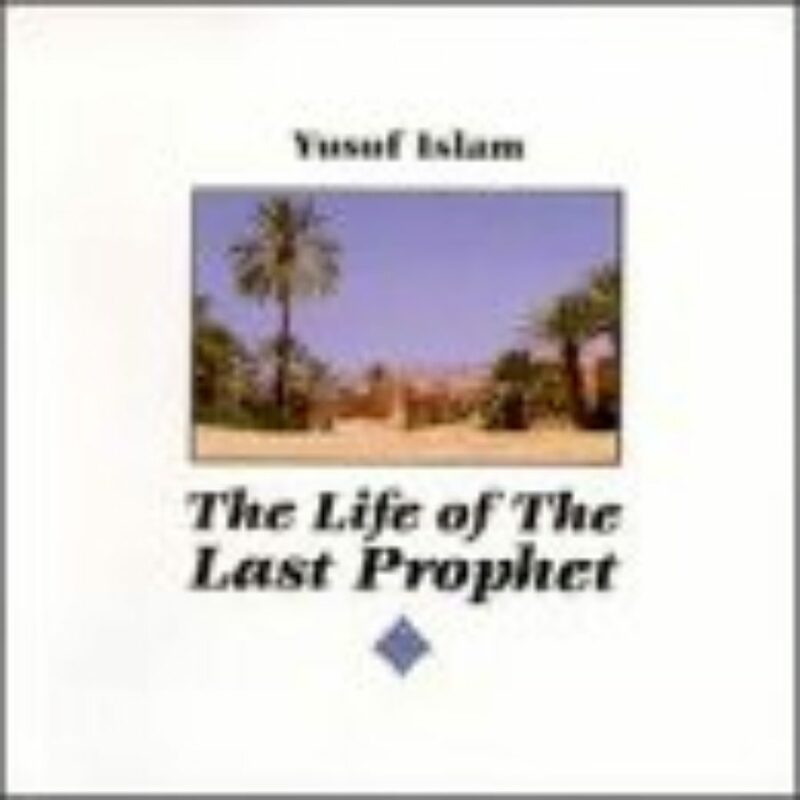 It describes how the eternal suffused the temporal on the night in which revelation first came to the prophet Muhammad. As Seemi Ghazi explains, Qur’anic Arabic contains evocative imagery which gets lost in English translation. The mother tongue of her own upbringing is Urdu. Like many languages of Muslim cultures, Urdu has a rich tradition of expressing religious ideas through love poetry. Seemi Ghazi shares her translation of a mystical Islamic verse from the 18th century Urdu poet Mir. She has found this especially helpful in the time since September 11th. MS. GHAZI: But, you know, there is — I mean, it’s one element, this kind of — the yearning and the pathos and I love that. I mean, `I return again and again to her door, my state now as if were in tumult.’ Well, I mean, that’s how I feel right now just trying to find answers and ways and means through the situation we’re in at this moment. And that `delicacy of her lip as if it were the petal of a certain rose.’ I mean, to me, that’s the subtlety of the way kind of spirit works and breathes and the subtlety of the way it will resist all attempts to sort of squash it or quench it or squelch it, and that’s something that I’m, you know, so dedicated to upholding. And I have to remind myself that the kind of work I do, teaching Arabic at the university or talking or just interacting on a daily level with people and having them have a different experience of Islamic tradition through me, that that subtle work will remain and will continue and will have power sort of beyond any kind of blunt instruments of terror that may seem to be destroying the bridges and closing the gaps where there’s communication. MS. TIPPETT: Yeah. There’s one thing that I wanted to ask you from the sura, from your reading of that, and that is the last line is he has the word `peace’ in it, and, you know, that word is getting bandied about a lot and I think simplistically. When you recite that word and that passage of the Qur’an, you know, tell me what that word `peace,’ how that feels to you and what it means when you say it in that way and maybe you can tell me something about what it is in Arabic. I mean, maybe it’s different, too. MS. GHAZI: Well, `salaam’ is peace, it’s security, it’s safety. Of course, it’s a greeting, and it’s what we wish for one another. I think what’s key for me is that it’s peace with knowing. It’s a peace which comprehends and which understands and which has experienced the deepest realities and then holds an awareness of those deep realities. It’s a peace with consciousness, and that is, I think, real peace. MS. TIPPETT: Seemi Ghazi is a singer and a non-clerical reciter of the Qur’an. Earlier in this hour, you heard Muslim scholar Omid Safi of College University. We’d love to hear your thoughts on this program. Please send us an e-mail through our website at onbeing.org. 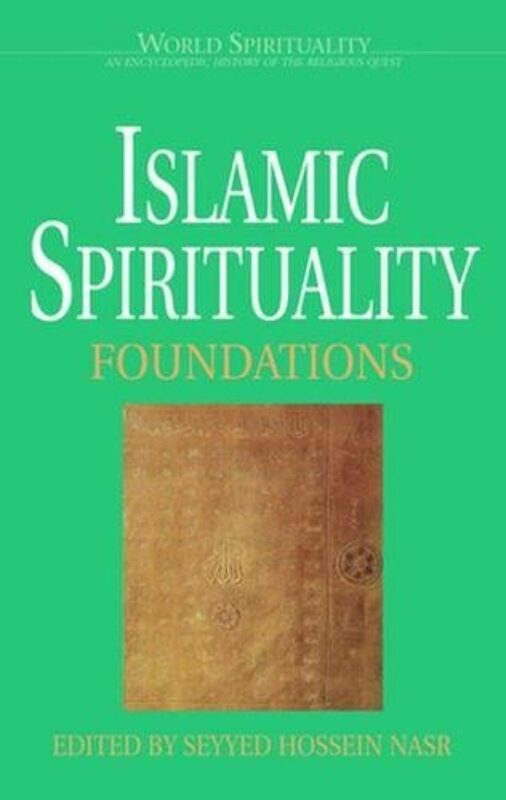 There you’ll find in-depth background about Islamic spirituality, as well as book recommendations and all the readings in today’s show. You can also sign up for our e-mail newsletter and get my weekly reflections, program transcripts and a preview of next week’s show. That’s onbeing.org.